Interested in foster care? Get the facts, explore resources, and read personal stories about triumphs in the US foster system. There’s new hope for children in foster care as more and more families are considering foster adoption. At the end of FY 2017 (most recent statistics, reported August 2018), 123,437 children in the U.S. foster care system are waiting for permanent, loving families. Here you’ll find resources for foster adoption, personal stories by families who adopted foster children, and links to national organizations to help you get started. There are approximately 69,525 children in the U.S. foster care system whose parental rights have been terminated and who are waiting to be adopted. In 2017, 59,430 children were adopted from foster care. Average age of waiting children: 7.6 years old. Race/ethnicity of waiting children: 44% Caucasian, 22% African-American, 22% Latino. Gender of waiting children: 52% male, 48% female. The average child in foster care waiting to be adopted has been in the system for 30.9 months. In 2017, nearly 20,000 children aged out of foster care without a permanent family. “The Second Half of My Life”: I’d been a hard-driving reporter and happily single. But now I was ready for something more. “Realizing That Adopting Older Children Was Right for Us”: At first, we envisioned welcoming a baby into our home. But we soon discovered that adopting older children was right for us. “Fostering Love”: The emotional risks were daunting. But foster adoption was still the best option for me. “’We Expected Just to Foster But Fell in Love with the Baby Who Became Our Daughter.’”: In this excerpt from her moving memoir, Another Mother, Sarah Gerstenzang relates her often painful, yet life-affirming journey as mother to a waiting child. “Foster Family to Forever Family: Helping Your Child Say Goodbye”: Strong connections to the past will allow your child to embrace the future. The Foster Adoption Series: A family chronicles the first-year joys of adopting two older girls from foster care, in this special six-part series. “Keys to Easing Adjustment”: Children do not want to be different from their peers. Giving them the skill to answer intrusive and embarrassing questions is critical. “A Healthy Attachment”: Whatever your child’s history, responsive parenting is key to a secure, loving relationship. 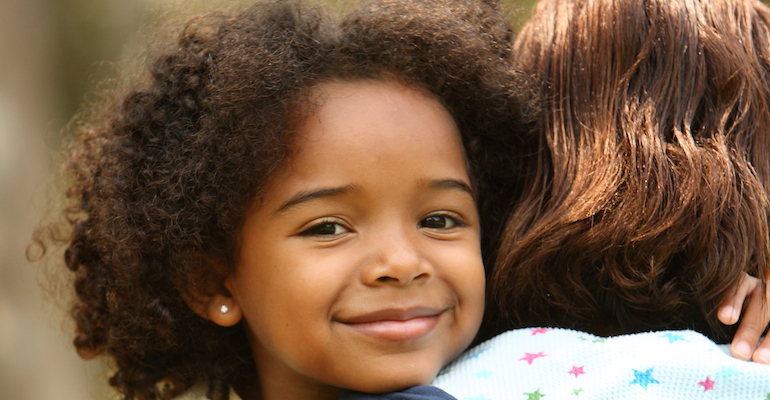 There are half a million children in U.S. foster care. ..
"Adopting through foster care felt like a roller-coaster ride, but ..
"Interstate barriers keep children in foster care, while willing parents ..